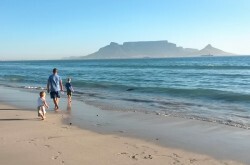 Bloubergstrand is known for its spectacular stretch of white sand and blue seas with Table Mountain as the backdrop. 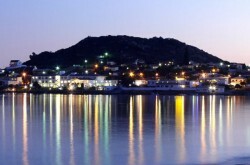 There are many things to see and do – water sports, swim at Little Bay and Big Bay or dine at a restaurants along the beach. 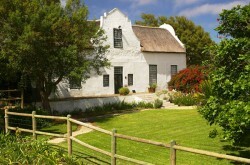 Definitely one of the places to visit when coming to Cape Town! In a wonderfully secluded setting, this blue flag-rated beach has excellent water quality, a tidal pool and a slipway to launch leisure craft. 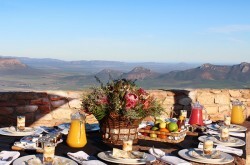 Relax at one of its picnic sites or braai areas. 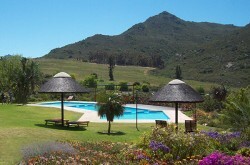 The resort falls within the Cape West Coast Biosphere and also borders the Koeberg Nature Reserve. 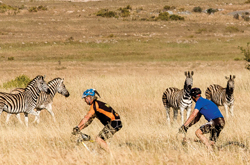 Contact: the Booking Office: (0)21 571 7080 or Recreation Officer: Amelia Botha (0)83 986 9164 to book accommodation or camping. This tiny escapist’s peninsula gives the illusion of being an island surrounded by sea. 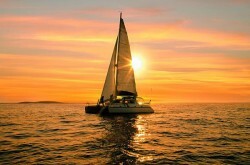 It’s ideal for sailing and fishing and offers safe water fun for the whole family. 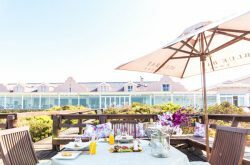 Attractions include a 9-hole golf course and spa, while the hotel has a bowling green, tennis courts, running trails, beach walks, sunset picnics and a gym. 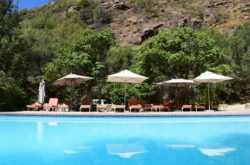 With a pristine coastline and sparkling surf, St Helena Bay is the ultimate year-round outdoor destination. 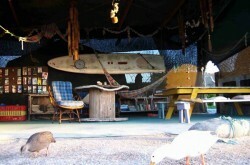 For yachtsmen, canoeists, surfers, birders or fishermen, it doesn’t get any better than this. 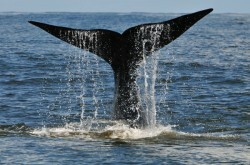 Its calm waters also provide an abundance of food for the resident dolphins and Southern Right whales. 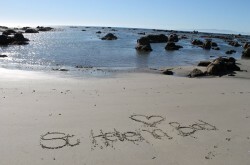 The calm waters of this sheltered beach cove make Tietiesbaai in the Cape Columbine Nature Reserve a popular playground for campers, fishermen and families. 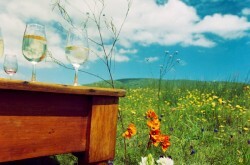 The campsite offers convenient caravan or tent seafront sites and uses conservation-friendly solar panels for hot water. 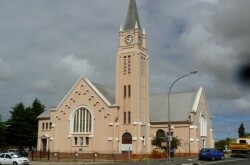 Vredenburg is the commercial hub of the West Coast and has the area’s only mall. It was first named Twisfontein (‘Quarrel Spring’) and later Prosesfontein (‘Lawsuit Spring’) because the rights to the spring caused so many disputes as water is a scarce commodity here. 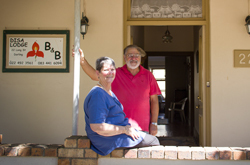 Peace finally won and the town was promptly renamed Vredenburg, or ‘Peaceful Town’. 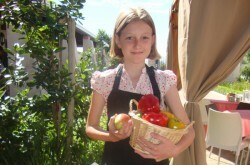 Private & Guided Tours Made to Order! Small groups, big adventures. 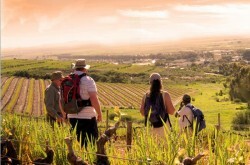 The Capey Tours small group style means you’ll stay under the radar, travel the local way and eat the local way. 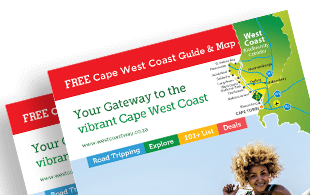 With regular departures on trips in South Africa en route to the rustic beauty of the West Coast or a 1-day tour in Cape Town, you’re bound to find something that’s just right for you. 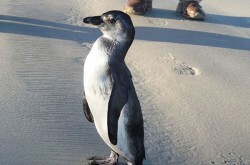 Come and explore the West Coast with an exclusive tour. 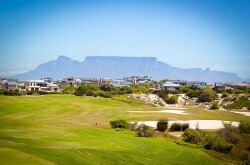 The Blaauwberg Nature Reserve has spectacular views across the cityscape and coastline, including one of the few in the world where you can see two World Heritage Sites; Table Mountain and Robben Island. 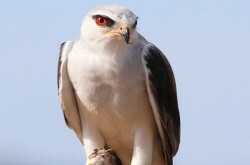 Its wetland has an abundance of plant, mammal, bird and reptile species, as well as various amphibians. 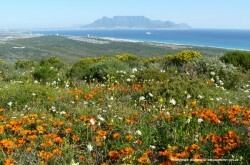 The Waylands Wildflower Reserve, founded in the early 1900s, is part of the critically endangered Lowland Fynbos Biome, of which less than 1% remains. 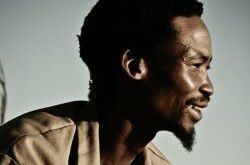 It’s also an integral component of Waylands’ Nguni free-range cattle farming. 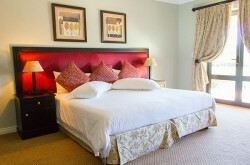 The rustic guesthouse offers five en-suite bedrooms, braai facilities and a pool. 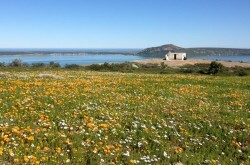 This little flower reserve is best known for its massive displays of spring flowers and year-round bird spotting of Cape Longclaw, Spur-winged goose, African Pipit, African Stonechat and Bokmakierie. 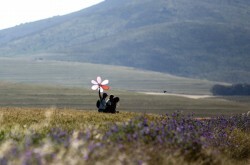 It’s also a unique remnant of grassland, fynbos and a seasonal wetland within the Swartland, and particularly valued for its bulbous plants. 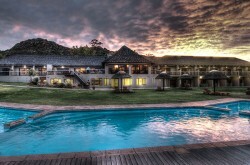 The reserve is a heritage site and one of the oldest in South Africa of its kind. 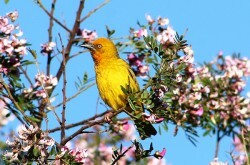 The Darling Renosterveld Reserve is one of the best places to see a variety of Renosterbos, an array of birds and the red bellied tortoise. 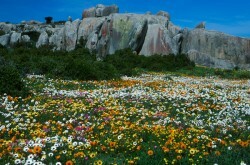 If spring is your thing, then pop in, you’ll see the landscape transform into a colourful carpet. 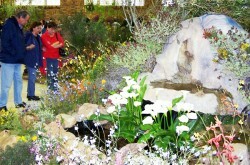 The reserve also hosts the annual, century-old Darling Wildflower Show. 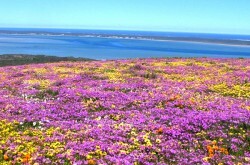 Even though it’s part of the West Coast National Park, the Postberg Flower Reserve is not always open to make sure it’s as undisturbed as possible until spring, when it truly rewards the wait. 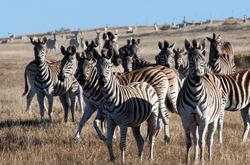 Keep an eye out for zebra, wildebeest, antelope, ostrich, mongoose, Rock hyrax, snakes, birds, and tortoises. This majestic ‘Scottish loch-like’ lagoon is the largest on the West Coast and one of the most important estuarine systems in the Cape. 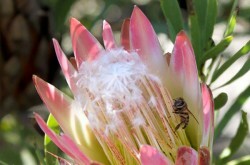 As a Ramsar site, it’s a protective area for wetland biodiversity and teems with bird life, some very rare, as it lies in the transition zone between karroid and fynbos. 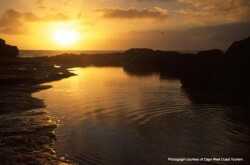 The Cape Columbine Nature Reserve lies on a rugged and magnificent peninsula coastline. The historical lighthouse is the only brick and mortar structure in the reserve. 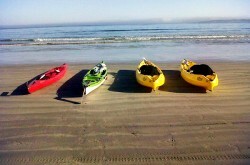 On the leisure side, enjoy dolphin and whale sighting, kayaking the inlets and the shoreline. 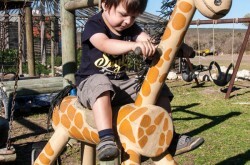 The Mamre Nature Garden was established in 1701 when Cape Governor van der Stel set up a military post there. 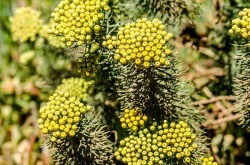 Today, its main vegetation is endangered Atlantis Sand Fynbos, over 234 plant species and some 24 near-extinct species. 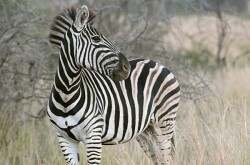 Cape grysbok and steenbok can be spotted as well as birds, reptiles and amphibians. 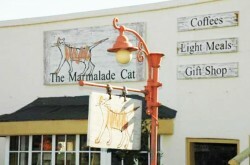 Find Mamre Werf close by with the Tori Oso coffee shop. Although this gem of a reserve is situated inside the military grounds, it’s accessible to the public via the entrance to the Military Academy. 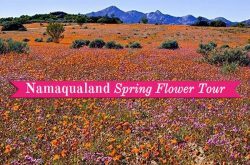 In spring, hiking trails, spectacular spring wildflowers and fantastic whale spotting awaits, all perfectly framed against the coastline. 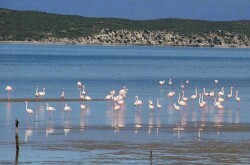 The Rocherpan Nature Reserve is a unique combination of two ecosystems which attracts over 180 bird species, including Cape Shovellers, pelicans, flamingos and the rare African Black Oystercatcher. 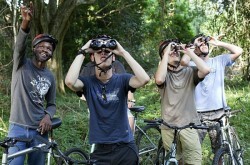 Water mongoose, duiker, ostriches can also be spotted, while Southern Right whales pop in seasonally. 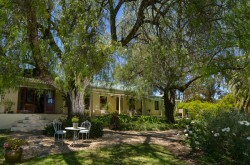 Find accommodation here. The Crayfish Trial Company offers a Five Day Option and a Two Day Option. 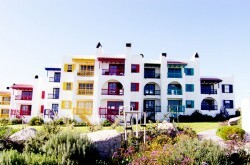 But there are more possibilities as they can tailor-make an experience just for you, depending on your abilities and interests.The Crayfish Trail links a series of quaint coastal towns and noteworthy farms including Elands Bay, Steenbokfontein, Lamberts Bay, Doring Bay, Big River Bend and Papendorp. 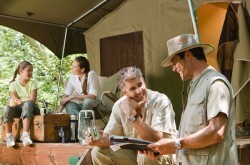 Each has its own unique story and something special to offer the intrepid explorer. Open 7 days a week. 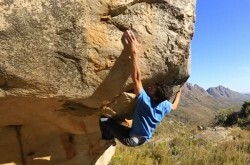 Starts 90min outside Cape Town. 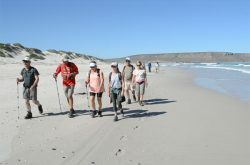 The Cape West Coast Biosphere Trails offer exciting slack-packing trails as a wonderful way to experience the unique cultural and natural heritage of the Cape West Coast. There are 4 types of trails available: Darling Stagger, Eve’s Trail, Five Bay Trail and Wheels of Time. 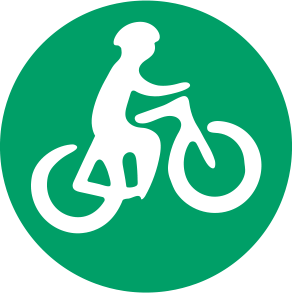 Bespoke trail options can be created. Open 7 days a week. 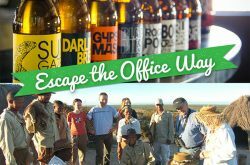 Starts 90min outside Cape Town. 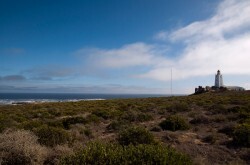 The landmark Seeberg Lookout offers arguably the best vistas of the West Coast National Park. This lovingly restored historical shepherd’s hut is also an information centre. Built at the end of the 18th century, some of the garden’s prickly pear, fig and quince trees still remain today. 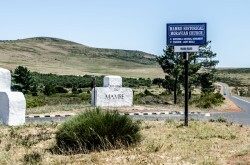 First founded in the 18th century as a military and cattle post, the modern settlement of Mamre Moravian Mission Station was then established by two Moravian missionaries. In 1967 the church and parsonage were declared national monuments. 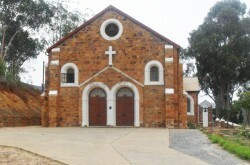 The church is still used for services and the restored original water mill is now a museum. Originally, a widowed cattle farmer left the farm to his female slave, Manies who cared for him until his death. She then sold it to Moravian Missionaries who established the mission station which still stands today. The Peerboom Hiking Route is also now a popular attraction offering panoramic views of the area. 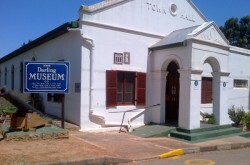 After being established years ago as the ‘Butter Museum’, Darling residents began donating memorabilia to what is now the Darling Museum. It showcases an interesting recreation of a bygone era with Victorian clothing, kitchen, china and household items, as well as insights into Darling’s cream and butter industry and its farming history. 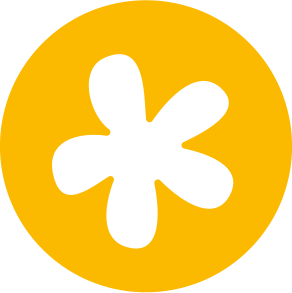 Relive the history and production of wheat and take a look at wheat fossils found in a Pharoah’s Tomb in Egypt. Set in the old DR Mission Church Building that could house the building.This is not only an excellent display of the history but is also used for education and other activities like music and dancing. 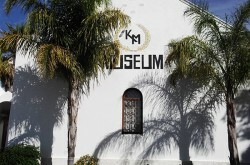 Hopefield Museum is a true treasure trove of all things antique. 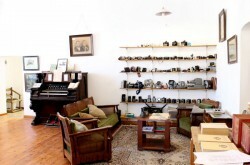 Period furniture, a classic piano, garments and linen, crockery, utensils and collectables from the region, as well as old irons, antique radios and a fossil collection excavated in the area are on display. 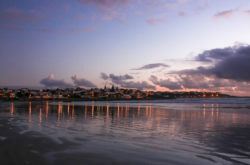 The regal-like North and South Head lighthouses (known as the Twins) at the entrance to Saldanha Bay also serve another important function other than to guide ships between the two rocky promontories that form the edges of the bay. The straight imaginary line connecting the two lighthouses acts as an ‘arrival’ line – once a ship has crossed this, it has ‘arrived’ in the bay. 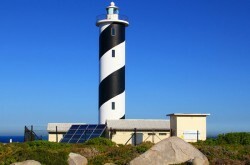 The fortress-like and spectacularly situated Cape Columbine lighthouse is perched on a windswept headland and is usually the first lighthouse sighted by ships coming from South America and Europe. 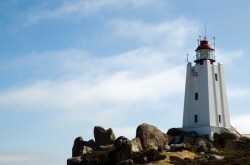 Built in 1936, it was the first local lighthouse to combine all three navigational safety features – a light, a fog signal and a radio beacon. 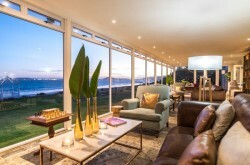 Beachfront accommodation with a restaurant where drinks are served to guests as they relax watching whales glide by from the broad terraces, before being served delicious meals in its charming a la carte restaurant, the well known ‘Blue Bay Café’. 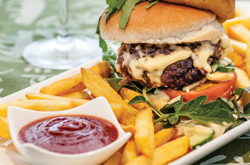 Their beach chic restaurant’s food style is relaxed a la carte with all the top favourites and flavours, great local meat cuts as well as locally sourced mussels served in two different styles. 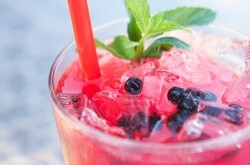 The bar is true West Coast beach chic, stylish, modern, authentic and relaxed. 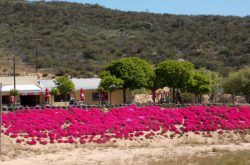 Grown exclusively along the West Coast of South Africa, the rooibos produced here is cultivated to it’s best by the naturally occurring Mediterranean climate found along the Greater Cederberg Biodiversity Corridor. 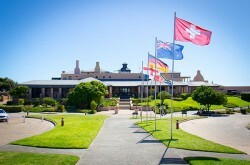 The rooibos tea farmed here serves as a base to the myriad infusions offered by Carmién Tea. 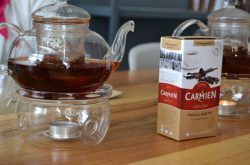 Carmién Tea now offers these flavour pairings at their picturesque Bergendal-Carmien Rooibos farm in the Citrusdal valley. 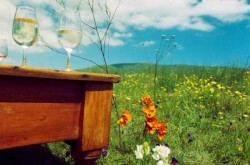 Situated on the eastern slopes of Dassenberg is Cloof Wine Estate which was named the 2006 Biodiversity & Wine Initiative Champion to acknowledge the steps taken to conserve the pristine natural vegetation and to rehabilitate previously cultivated areas. 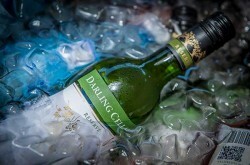 Darling Cellars has taken full advantage of the cool and temperate West Coast climate which creates unique grapes that become distinctive wines. 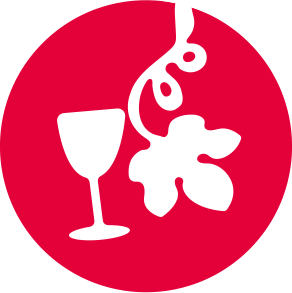 Nearly all their vineyards are bush vines and are non-irrigated, making the fruit yielded as pure and close as possible to what nature intended. 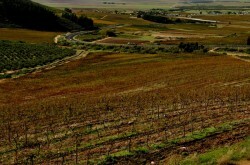 Ormonde’s vineyard is kissed by the coolness and moisture of the ocean breeze which helps to moderate summer temperatures and extend the growing season. 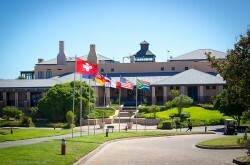 Red wines of delicious depth and intensity are produced using traditional French techniques, including open fermentation, plunging, racking, barrel-ageing and blending. 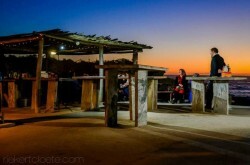 Yzerfontein’s Strandkombuis, right on the famous ‘16 Mile’ beach, is an open-air restaurant specialising in the freshest seafood. 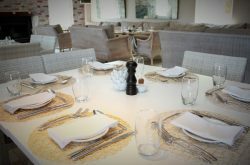 Meals are served in the centre of the restaurant over three courses – so pace yourself – it’s culinary heaven. 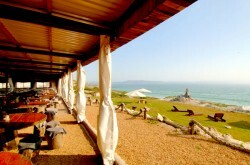 Voted one of the ‘Top Ten Sea Views to Dine For’ by National Geographic, Muisbosskerm is the first and original open=air restaurant in South Africa. 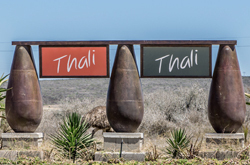 Taking its name from a traditional bush shelter called ‘Muisbos’ or ‘Mouse Bush’, the restaurant offers a wide choice of authentic West Coast cuisine. 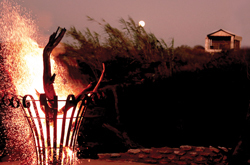 Right on the beach at Club Mykonos, Boesmanland Plaaskombuis is perfect for a hearty feast while relaxing around big tables on tree stumps with the aroma of open air cooking. 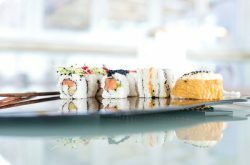 Using local ingredients that have been available for the past 100 years, the traditional buffet is sure to suit and satisfy any appetite. Gaaitjie Salt Water Restaurant is a perfect combination of top class local cuisine and a rustic seaside setting. Housed in a renovated fisherman’s cottage, Gaaitjie offers true West Coast-inspired slow food, using only the freshest seafood and ingredients. 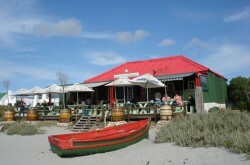 Voorstrand Restaurant is a quaint beachfront establishment housed in a 144 year-old, original fisherman’s cottage. 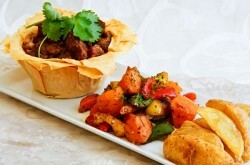 Dine inside or al fresco on fresh seafood, meat dishes, Malay curries and burgers. 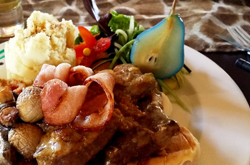 In the heart of the Sandveld is Bosduifklip Restaurant which is situated over the original blacksmith shop and stone sheep kraal that was built in 1870. It also has an open-air section which nestles against the lee of the huge rock overlooking the Jakkals River. 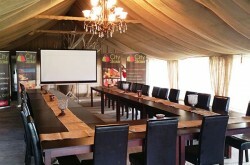 Alexanderfontein is the home of Darling Olives and gives insights on how olives are pressed and cured. Unlike other pampered olive groves in the region, these are grown on dry land, the theory being that no irrigation and minimal interference produces a more flavoursome olive. To create a superior product, the olives are processed within 24 hours of picking. Visitors can see the brewing process, enjoy a selection of beer tasters and purchase some of their favourites to take home. 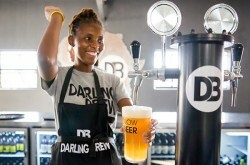 The tasteroom, operated by The Flying Pig CureSmiths, offers a locally sourced smoke house menu where the concept of slow beer and slow food truly come together. 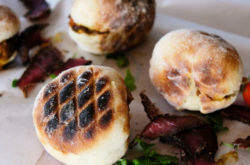 The menu includes a variety of artisanal tapas, salads and slow-cured meat dishes based on traditional recipes with a number of beer pairings. The menu can be enjoyed indoors or outside in the garden where an open-air kids play area tops off the experience to be one that the whole family can enjoy. 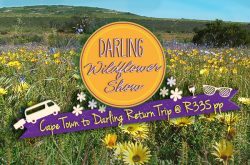 Known as the wildflower jewel of the West Coast, Darling has held an annual Wildflower Show in September since 1917. 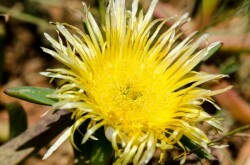 The flowers bloom from late August to October and are dependent on weather factors. To see the full beauty of the flowers, view them between 11am and 3pm, when their faces turn towards the sun. 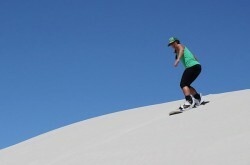 The striking white dunes of Atlantis provide a safe and fun environment to learn or improve your sandboarding skills. No previous experience is necessary and there’s a choice to stand-up or lie-down. 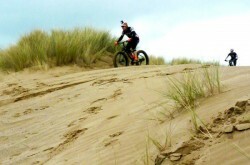 It is essential to obtain a permit from the City of Cape Town to enter the Atlantis Dunes. Go wherever the wind takes you with paragliding in Porterville or from Citrusdal, hugely popular for both West Coast locals and visitors. 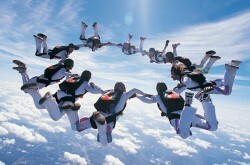 Simply strap into a harness and let the air’s aerodynamic forces flowing over the wings carry you away. Paragliding adrenalin junkies often travel hundred of kilometres at altitudes reaching thousands of metres. 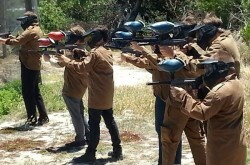 Paintballing Pyrozone offers a great way to stay fit, have family fun and experience the adrenalin and camaraderie of a simulated battle scenario, without the obvious associated dangers! 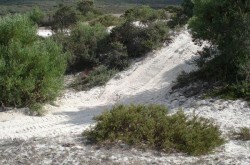 By far the best way to explore the seemingly endless snow-white dunes of Lambert’s Bay’s inland desert is by quad bike. 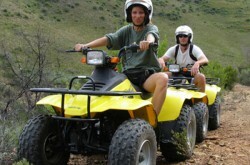 Various routes are available for the whole family and no experience is required. 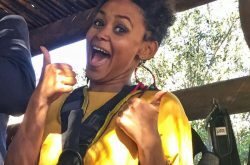 Jumping out of an aeroplane from 3km above Cape Town and free falling for 25 – 30 seconds at 200km per hour is truly an exhilarating experience. 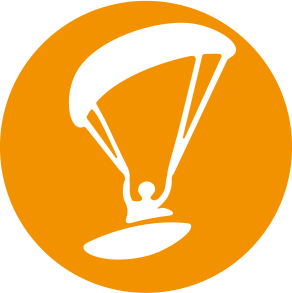 The Brakkefontein drop zone boasts one of the best aerial views of the Cape from altitude. 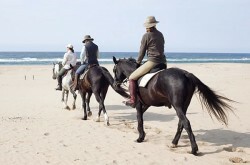 This magnificent stretch of beach is ideal to become one with nature and your horse. 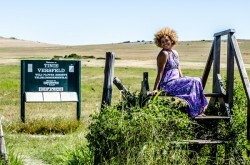 Thandeka Stables offers riding for all levels in some of the most beautiful parts of the area. 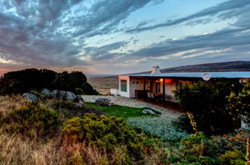 The Oliphantskop horse trails around Langebaan and Saldanha are the most relaxing and leisurely way to soak up the surrounds. There are several trails to choose from, all varying in difficulty and offering spectacular views, plant species, and bird spotting. 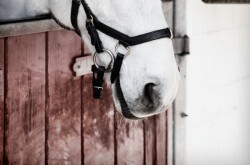 Several scenic horseback trails are available to suit all rider ages and experience levels. 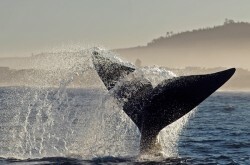 It’s a great way to see whales in mid-year, spectacular wildflowers in spring or just to cruise the coastline. 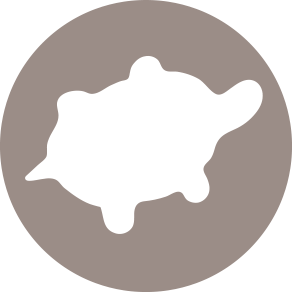 You can also view Eve’s Footprint – the oldest known to man which dates back some 117 000 years. Enjoy a gentle meander with a kayak guide along the coastline to spot dolphins, seals and whales and get up close and personal with the plentiful and varied bird life on the rocks. 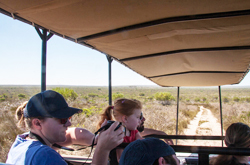 The Blombosch 4×4 Nature Trail is great for adventurers to truly experience the Sandveld vegetation. 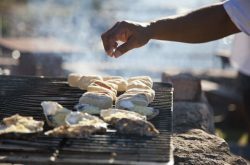 Have a picnic halfway and enjoy the West Coast Biodiversity Corridor’s lowveld fynbos, sea views, old dune vegetation, limestone ridges and natural saltpans. The cold Antarctic Benguela current that flows along the West Coast creates an abundance of marine life with a wide variety for angling. 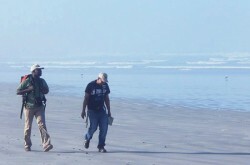 St Helena Bay is ideal for catching Shad (or Elf) in the Berg River mouth and for surf angling Galjoen between Velddrif and Dwarskersbos. 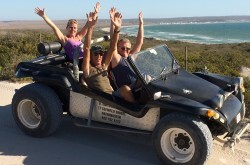 The dunes between Paternoster and St Helena Bay are begging for beach buggy rides. Visit quaint fishing villages, take photos, keep an eye out for whales and dolphins, then catch your breath and have a hearty lunch. 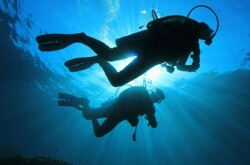 Embark on an underwater adventure to view shipwrecks and their graveyards with either eco-diving, adventure diving or experience one of the fastest drift dives. 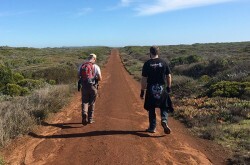 The spectacular SAS Nature Reserve in the military base has marked walking routes that are all bike-friendly, offering views, bird and game spotting with access onto the northern peninsula of Saldanha Bay. 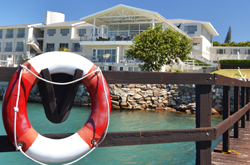 St. Helena Bay arguably offers the finest sailing on the West Coast and when the mighty Southeaster is blowing, it’s possible to enjoy an entire day of pleasant sailing. 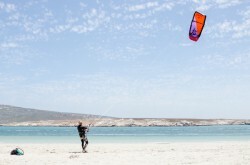 With its perfect conditions, Langebaan attracts kiteboarding enthusiasts from all over the world. 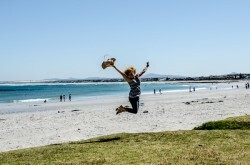 Main Beach is one of South Africa’s favourite kiteboarding spots, and it’s also perfectly situated to enjoy a beer and a meal afterwards at one of many pubs and restaurants. 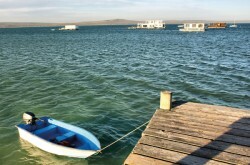 Elands Bay is regarded by many as a surfer’s paradise with its variety of uncrowded waves to suit every level of surfer. Known as the Jeffrey’s Bay of the West Coast, it’s the best surfed on a mid-tide offering a peeling left-hand point break that breaks onto a reef. 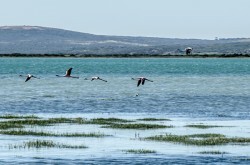 The West Coast National Park has become a legendary birding site where a mix of coastal strandveld, salt marshes, tidal lagoons, mudflats, reed beds, a freshwater pan, rocky and sandy shorelines and offshore islands provide sanctuary for a wide variety of endemic and exotic birds. 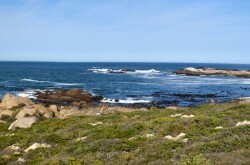 The rugged Cape Columbine Nature Reserve runs along a spectacular rocky stretch of coastline indented with inlets and coves. 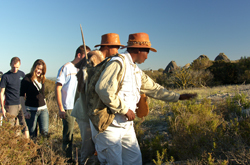 There are many hiking trails throughout the reserve which lead to various panoramic viewing points. 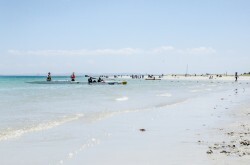 Calypso Beach is west-facing with warm water and no currents, making it ideal for stand up paddle boarding, which is now very popular because almost anyone can enjoy it on just about any body of water. 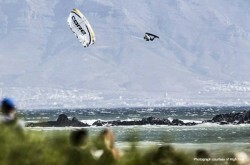 Big Bay is one of two Bloubergstrand beaches and is a favourite location for kite surfing, drawing international enthusiasts to its annual competitions. The combination of the Atlantic Ocean Swells rolling onto the coastline and the wind which blows almost daily makes for sensational conditions. 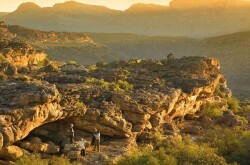 The Cederberg seems like a different world. The landscape is wilder with a raw, dramatic beauty, towering mountains, jagged sandstone rock formations and well-preserved San Rock Art. Perfect for rock climbing on any level. 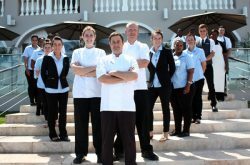 Beachfront accommodation with a restaurant where drinks are served to guests as they relax watching whales glide by from the broad terraces, before being served delicious meals in its charming a la carte restaurant, the well known ‘Blue Bay Café’. Just 50m away from the blue flag ‘16 Mile’ beach and set behind a dune for less windy camping, this well maintained park offers sizeable sites with all amenities and family facilities. 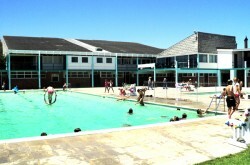 Less than an hour from Cape Town, Ou Skip is one of the largest caravan parks in the Western Cape, and just 300m from the beach. 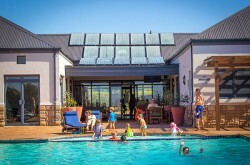 It offers 206 well-kept tent and caravan sites, 12 self-catering chalets, a swimming pool; kids play area, trampolines, a recreation hall, laundry facilities and 24-hour gate security. 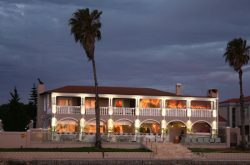 The Ganzekraal Coastal Resort is ideal for weekend getaways, relaxing holidays,to host your conference, team building or wedding. 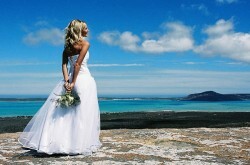 It hugs the Atlantic Ocean offering stunning views and great facilities. 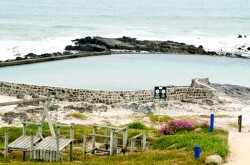 The tidal pool ensures safe swimming for the kids, while the rocky shoreline is popular for fishing. 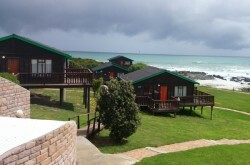 On the shoreline in the Cape Columbine Nature Reserve, The Beach Camp offers pre-pitched bedded Twin Tents and A-Frames kitted out with all the necessary camping gear and an equipped communal kitchen tent. 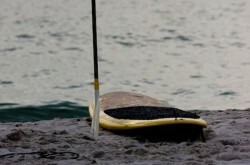 Activities include hiking, bouldering, bird watching, fishing, guided sea-kayak trails and surfing. 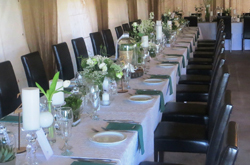 Weddings held here are spectacular and, in order to make things as easy as possible for the couple, a wedding coordinator is available to ensure that everything necessary is done to create the wedding of their dreams. 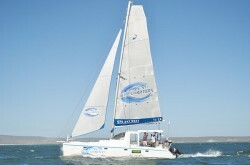 Leisurely Yacht Cruises in the Langebaan lagoon and Overnight trips in the Catamaran with catering and onboard bar – perfect for team building events, private events and weddings. 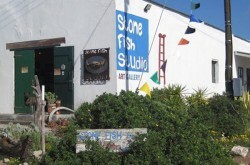 Stone Fish is not only a gallery but also a studio where West Coast artist Dianne Heesom-Green creates unique hand-built clay sculptures, paintings and hosts workshops. 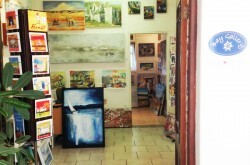 Her studio is in an old mill which was built in 1863 and the gallery also showcases original works by renowned artists. 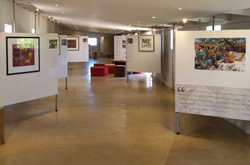 Bay Gallery – ‘Art in the heart of Langebaan’ showcases a wide variety of unique, local and selected South African artists work in various media, including paintings, sculpture and ceramics as well as hand woven mohair and handmade gifts. 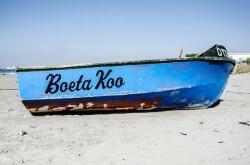 Find here more than 20 artistics impressions of “Jan” – the traditional fishing boat on Langebaan’s beach. 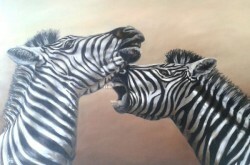 The gallery specializes in curating local artists’s work like Sandy Essau, Daan Samuels and Joan Schrauwen. Open Monday to Saturday. 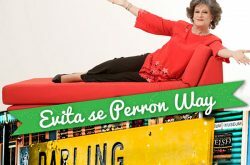 The West Coast Art Gallery sources and exhibits talent that is both upcoming and established from the entire region. Owned by artist, Dot Dixon, the gallery was created as a window on West Coast art and represents the works of over 100 artists and craftsmen. 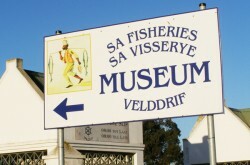 Recently moved from Hout Bay, the SA Fisheries Museum exhibits the colourful and fascinating history of the fishing industry along the West Coast, from old whaling to present-day pelagic and lobster fishing. 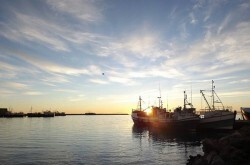 It also pays homage to all pioneers and subsidiary stakeholders in the fishing industry. At the foot of the Cederberg lies a unique open-air theatre on the Oude Muur Farm where many a well-known South African artist has performed against this awesome backdrop. 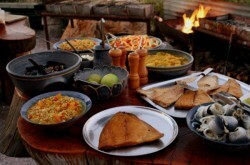 Enjoy traditional food cooked on open fires and stay the night, rustic style. 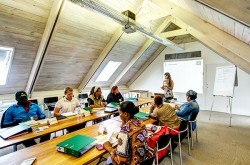 Camphill Village provides a safe environment for intellectually challenged adults. 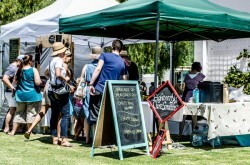 Held on the first Sunday of every second month, Camphill Country Market is a fun family day for all. 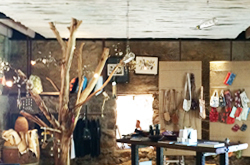 It offers a range of goods, including Camphill’s own fresh produce, baked goods and herbal products. 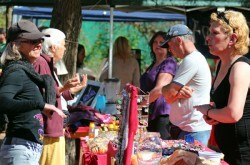 Residents and visiting stallholders also sell their products. 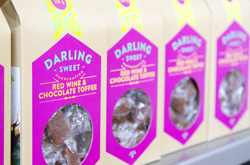 On the last Saturday of every month, this craft market has over 30 stalls selling a variety of homemade and fresh produce, as well as various crafts. 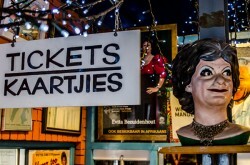 There is also live music and loads of kids’ entertainment. 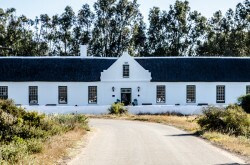 The Groote Post Country Market, held at one of the Cape’s finest wineries, offers arts and crafts, décor, gifts and homeware stalls as well as a wide selection of fine Darling gourmet produce. 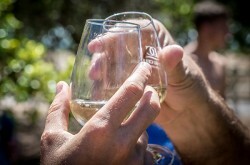 Sample or buy Groote Post’s Rosé wine, specially produced for the market, or sip on an ice-cold Darling Brew. There’s also lots to keep the kids busy. 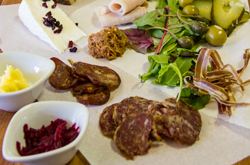 Elkanah House hosts a monthly community market packed with fresh foods and eclectic arts and crafts. 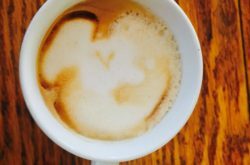 It also has a variety of craft work¬shops and plenty of activities for everyone – especially the little ones, making it a perfect Saturday morning family outing. 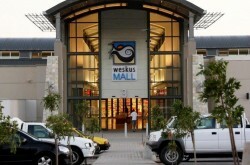 The West Coast Mall is the region’s only one-stop shopping experience. 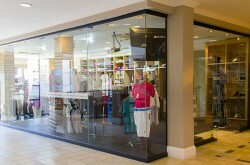 Open 7 days a week, it has over 70 shops, many large national anchor retailers, all the major South African banks and cellular providers, as well as cafes and restaurants. For your convenience, there are 1854 free parking bays. Birders can enjoy a range of species from larks and pipits to lesser flamingoes and great white pelicans, as well as a variety of raptors. 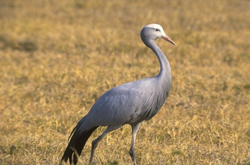 Flowering bulbs and the wildflower diversity offer a unique springtime experience and in the summer, large numbers of blue cranes can be spotted in the wheat fields. 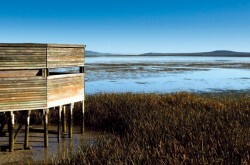 This Ramsar site has over 300 identified species and is well-known for its thousands of migratory summer waders. 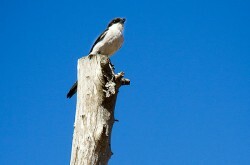 Spot Black Harrier, White-throated Canary, Grey-winged Francolin, Karoo Lark, White-backed Mousebird and many more. 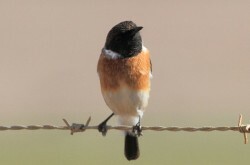 Also look out for Cape Batis, African Hoopoe, Rock Kestrel, Black-shouldered Kite, Southern Black Korhaan, Cape Longclaw and Cardinal Woodpecker. 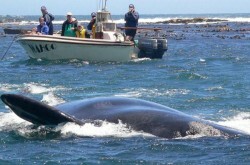 Southern Right and Humpback whales visit Yzerfontein in groups of eight to ten between June and December. The cows calve in the calm waters and there are numerous look-out points from which to view these magnificent mammals. 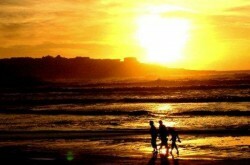 The best time to sight whales in Paternoster is between August and December, and they are best viewed directly from the beaches at Paternoster Bay. 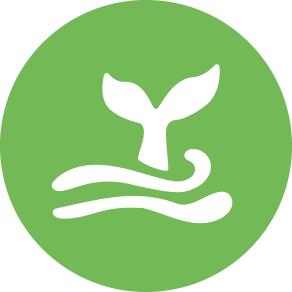 The adjacent Cape Columbine Nature Reserve is also frequently visited by whales and the rocks are the perfect place to spot them.